Added on 11 August 2014 . By Kiran Khattra. 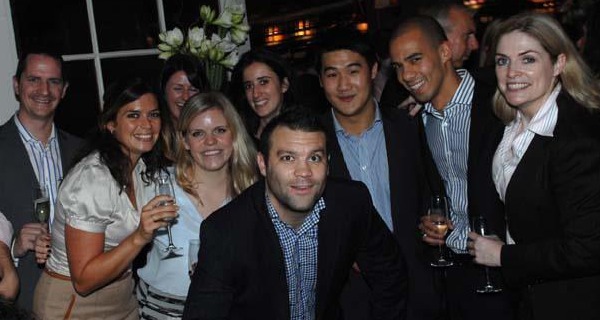 Situated in the business district of the London and towered by skyscrapers, Balls Brothers Marks Lane is a popular choice for young professionals looking to wine and dine. Appearing to be the perfect place to getaway from the office, I went to see for myself what this traditional wine bar has to offer. Displaying heritage and tradition at its finest, the Balls Brothers venue transports you back to the 1960’s, kitted out with old-fashioned, dark brown wooden, décor and furnishings – it provides you with a true Balls Brothers experience. With plenty of places to sit and a large bar at the back, it offers a sweet escape from the hustle and bustle of London. 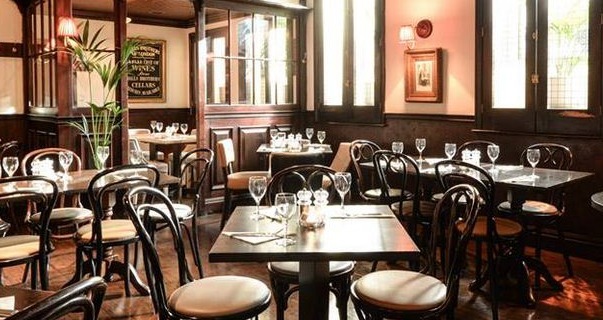 Charming and cosy, you can bask in true Balls Brothers heritage and traditions at Mark Lane. As you would expect, many City workers retreat here after a long day at work for a cheeky one…or five. Upon arrival there was a scattering of people sitting outside on the side street tables, enjoying a glass of wine. Inside it was relatively quiet with a few small groups making the most of the Happy Hour, but you can expect it livens up on a Thursday and Friday as the week draws to a close. The atmosphere was calming, allowing you to unwind and enjoy a peaceful evening. The perfect place for City workers to chill out and relax. 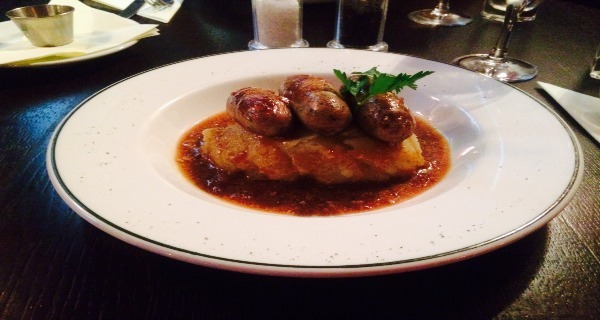 Serving British and Continental favourites I went for a dish we all know and love, Pork Londoner Sausages and Mash, with Port and Onion gravy, accompanied with Balls Brothers most popular wine, Sauvignon Blanc New Zealand. The food went down an absolute treat: the sausages were oh so juicy, the mash was ever so smooth and the wine was the perfect complement to my meal. A delicious, hearty meal to tuck into at the end of the day is what we all need! Shadowed by the skyscrapers of the City, Balls Brothers Mark Lane is a little gem oozing with proud heritage. With an extensive wine list and quality British dishes, it acts as the ideal retreat for those looking to get away from the hectic rush of London.